Fatimah Baeshen is the first Saudi female spokes person at the Kingdom's embassy in Washinton DC. Fatimah Baeshen has been appointed as the first female spokesperson for the Saudi Embassy in Washington DC. Baeshan announced her new posting in a tweet on Wednesday morning. Baeshan was a director at the Washington based think tank Arabia Foundation. 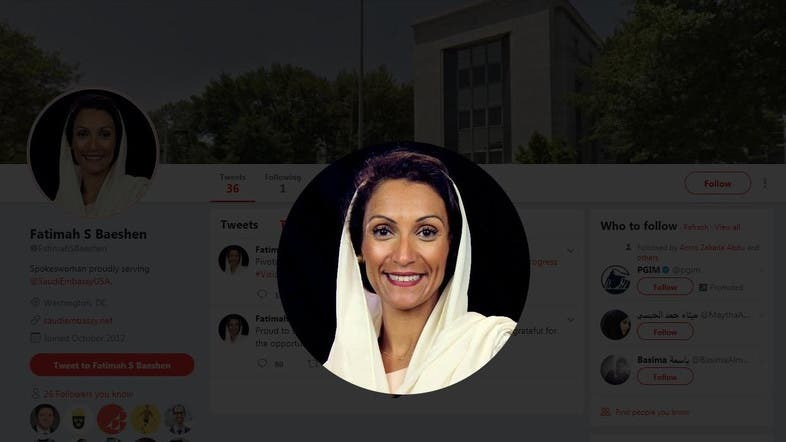 She joined the Arabia Foundation after having worked with the Saudi Ministry of Labor and the Saudi Ministry of Economy and Planning in Riyadh between 2014 and 2017.